Any luck on my above post? 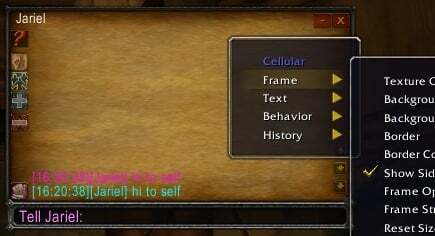 Ok so the problem is, when you press R if the pm comes from an ingame same realm char the addon captures the reply function and opens type in a reply fashion, if a pm is done from battle.net and not from an in game character the r function just turns to say instead and ofc you type something goes into say, same thing ofc happens when you click the chat window, if the PM is from an ingame character same realm it captures the click and it opens the reply if its battle.net it turns into a say THE ONLY WAY it will turn into reply is if you literally point on the name of the guy you got the pm from like [PlayerName] if you click anywhere else in window it turns into say. I hope this made some sense will be happy provide any other feedback needed to fix this :P been using cellular since released i legit cant work without, on my shame tried wim but that thing made me wanna cry. OK the above is not complete correct, the enter does indeed start reply function as tries to reply but it tries to send it in reply as if the guy was in your server same realm which ofc ends up in a No player named "PlayerName(which is bnet tag name)" is currently playing. Last edited by drinsane : 02-11-19 at 08:51 AM. Clicking into the window of the whisper doesn't open the chat bar with the correct whisper anymore. Would love for this to be fixed as well. 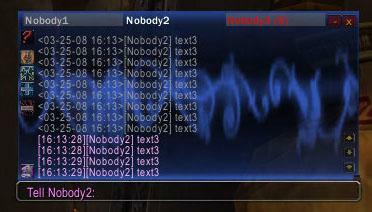 This bug makes the addon practically unusable. Last edited by wowintuser_ : 01-09-19 at 09:50 PM. Clicking into the window of the whisper doesn't open the chat bar with the correct whisper anymore. It stays on say (and stays at the location that chatter set). This wasn't the case before (been using the same addons/setup since WotLK). I am so happy this addon got an update. Never let this addon die please. Yes, I love this and dislike Prat, so if you can, please have it work for BfA! Recent error that pops up every first whisper of a session. Thank you for making this great addon!